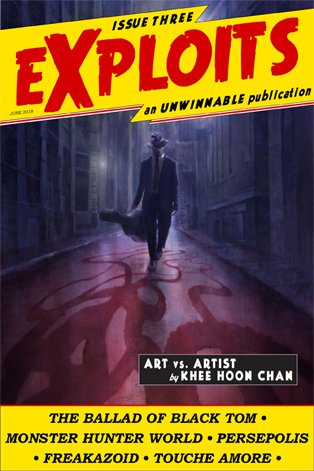 This is a reprint of the featured essay from Exploits #3. 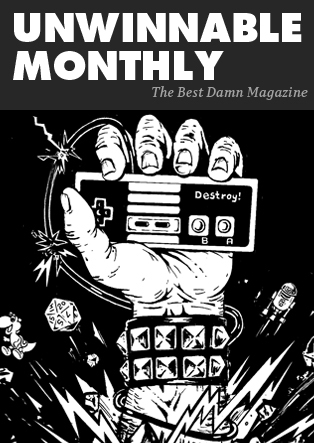 If you like what you see, grab the magazine for $2 or subscribe to never miss an issue (note: Exploits is free for subscribers of Unwinnable Monthly). Like most sullen, angsty teenagers from the ‘90s, I was obsessed with emo, whiling my days away on music from brooding white boys like Taking Back Sunday, Brand New and Hawthorne Heights. Brand New’s music had a huge presence in my formative years, with frontman Jesse Lacey’s dour posturing, caviling howls and logorrheic lyrics giving voice to the inexplicable emotions of teenhood. However, in light of revelations about his sexual violence, their songs have become abhorrent and unlistenable. The joy of listening has been replaced by outrage and guilt, as if my enjoyment made me complicit in his crimes. To reconcile enjoyment of a work with the revolting toxicity of their creator, some propose we separate the art from the artist. In the 1967 essay “The Death of the Author,” French critic Roland Barthes posits that the work and its creator should be perceived as unrelated to one another. This is about disregarding the author’s views, religion, ethnicity, psychology or personal attributes when interpreting their writing. Yet, plenty of works are intrinsically tied to the creators’ psyche – especially for the majority of emo bands and, for instance, the self-deprecating humor of comedian Louis C.K. – and it’s impossible to consume these media without bringing them up. Worse, some industries have overlooked the atrocities of their most bankable stars for decades, justifying that art should be beyond the scope of punishment while perpetrators are forgiven upon the slightest of apologies. From the moment we accept the idea of separating the art and its artist, we become culpable of the latter’s transgressions. It allows us to stave off epidemics of abuse, freeing us to continue enjoying the works of talented offenders as a fan. To do otherwise and confront the reprehensible origins of the media we consume can be challenging, because they are often intrinsic to our identity. We take immense pride in the things we love. It’s impossible for me to ignore the pang of sentimentality when I listen to Brand New’s “The Quiet Things That No One Ever Knows,” but I can’t simply park the multiple sexual allegations – which include years of manipulation and child grooming by Lacey – at the back of my mind as I listen to his band’s music. To draw the distinction between art and artist would be a morally reprehensible move. So, how can we move on? I’m afraid there isn’t an easy answer. We can start by believing victims when they speak out against their abusers. We can support artists who are more deserving of our time. Most of all, when similar waves of revelations spreads across the media we love, we should focus our efforts into reducing our complicity in these systems – and ensure that abusers the likes of Jesse Lacey, Louis C.K. and Bill Cosby will never be able to stage a comeback. Khee Hoon Chan is a freelance writer and copywriter from Singapore. She daydreams about being a professional Street Fighterplayer. Ask her about the weather on Twitter @crapstacular. Brand New, Death of the Artist, Jesse Lacey, Louis C.K.